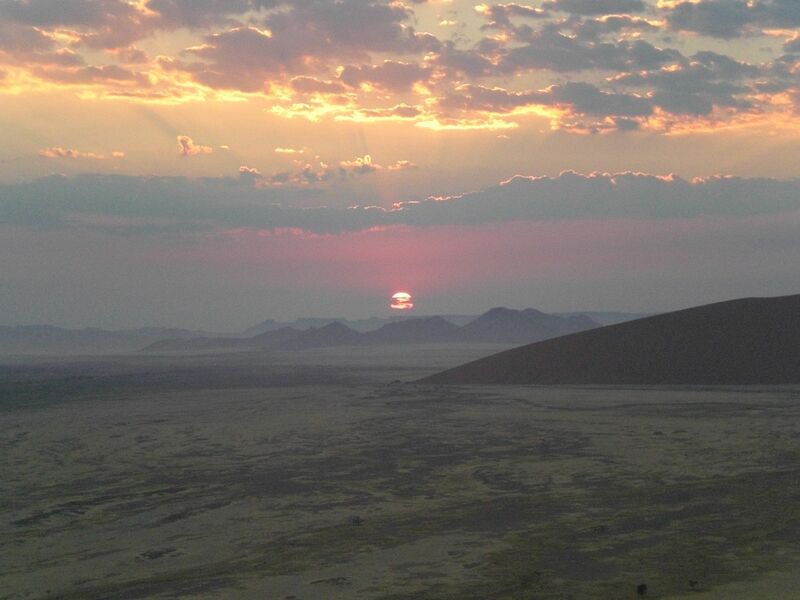 One hour before sunrise, the gates to Sossusvlei opened. We therefore had to get out of bed quite early. But it promised to be worth it. However, remember that you are probably not the only one heading out to Sossusvei. When we arrived at the gate, a queue had already formed. And as soon as the gate opened, some people really drive like a maniacs in order to arrive in Sossusvlei in time. 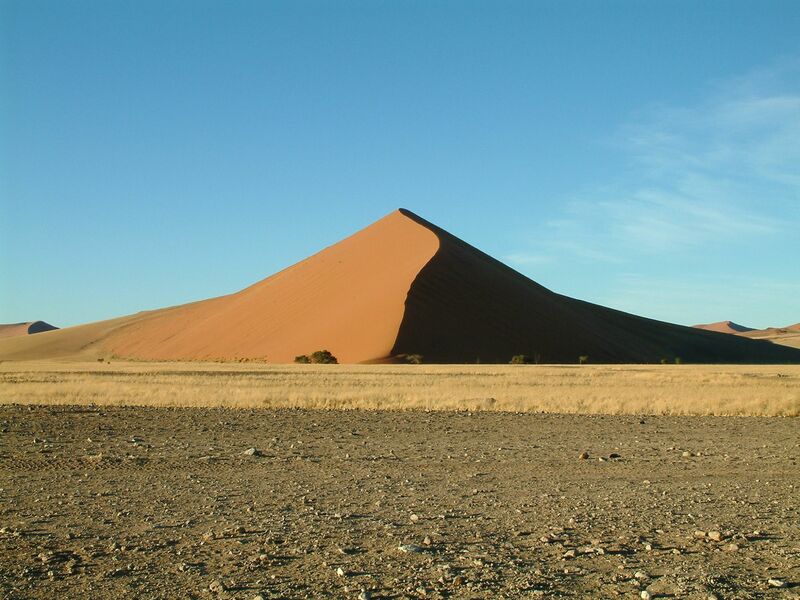 The drive to the first &apos;real&apos; dune is about 45 kilometer (to Dune 45), and around 60 kilometer if you want to go to Sossusvlei itself. We stopped at Dune 45, just like most people did. Therefore, don&apos;t expect a romantic scene where you are the only one sitting on the dune top. There were tens, if not hundreds of people sitting there when we climbed Dune 45 to see the sunrise. After climbing Dune 45, we continued with our 4x4 to Sossusvlei. Where Dune 45 is just besides the main tar road, to get to Sossusvlei, you really need a 4x4. The last kilometer or so is through really deep sand. In low gear, we were able to drive all the way to Sossusvlei. We were lucky as there was still water in the valley. 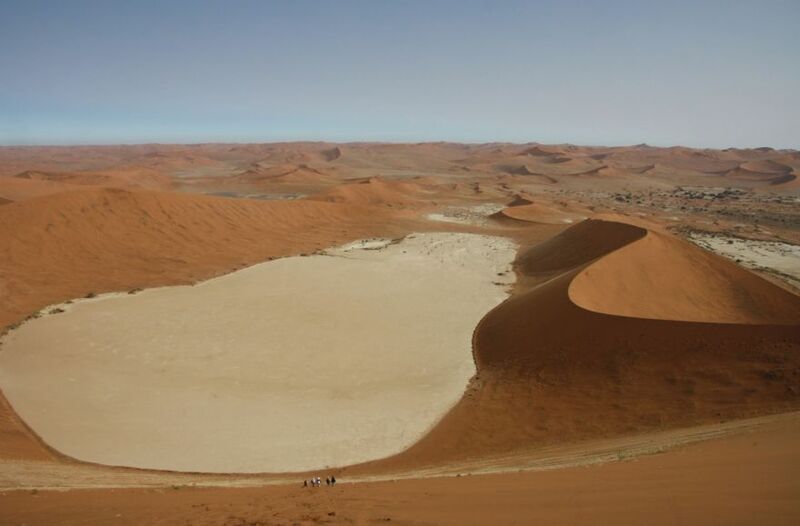 About every second year, enough rain falls allowing a river to stream all the way up to Sossusvlei. 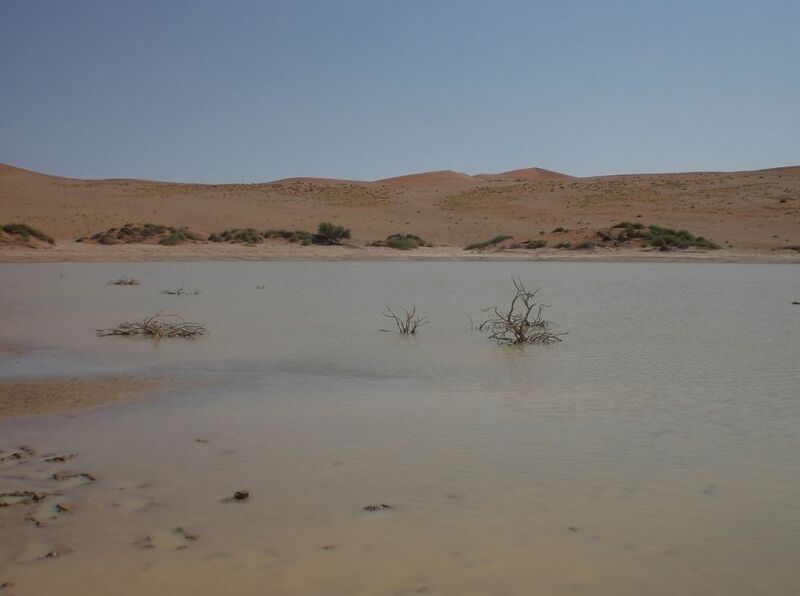 Years before, the water from this river also reached Deadvlei, but because of the movement of the sand, Deadvlei is disconnected from the river. What remains is a large valley with petrified trees. 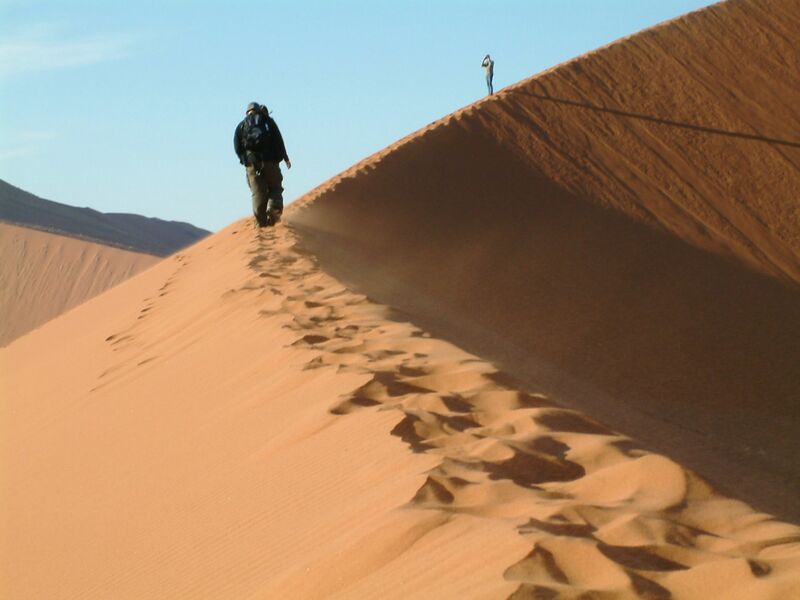 From Sossusvlei, we walked in about 30 minutes to Deadvlei. Because you are walking in deep sand and temperatures can get very hot, some people were really struggling. 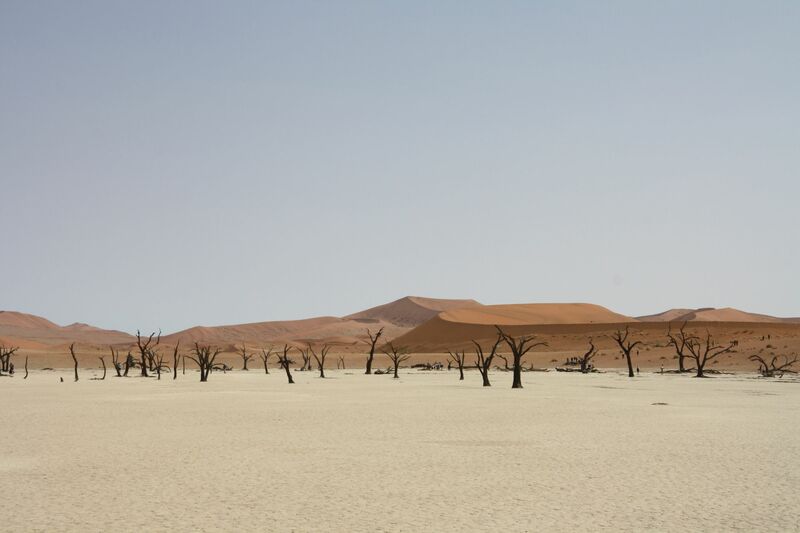 But the view of Deadvlei, surrounded by the huge sand dunes is worth is. 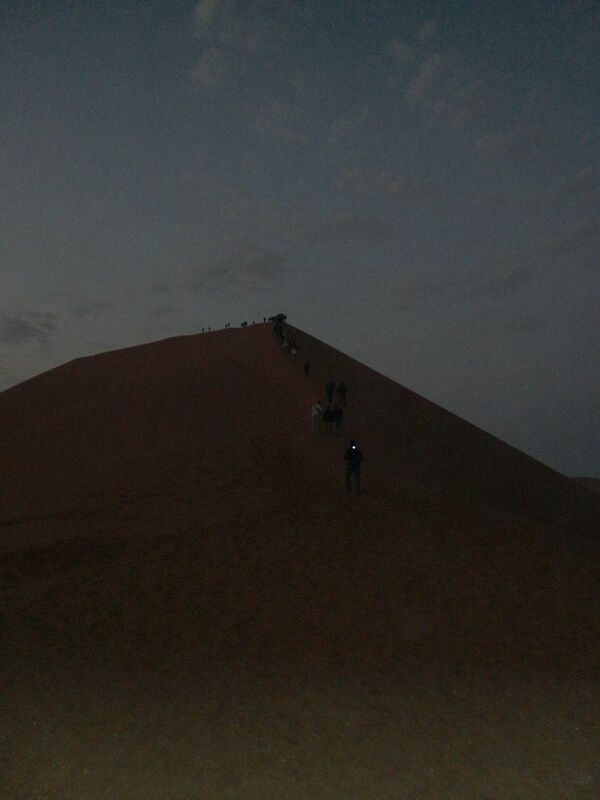 We decided to climb one of these sand dunes: Big Daddy. With 300 meter in altitude, it is the highest dune in the area (opposite Big Daddy lays Big Mama, the second highest dune). Climbing a sand dune is very tiring. Every step we took, we slipped back in the sand. 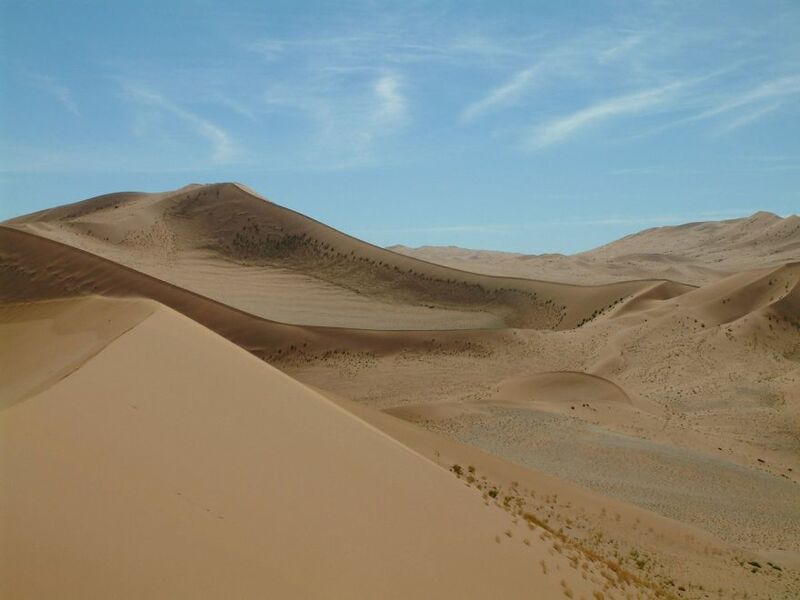 After a long and exhausting climb, we arrived at the top of the sand dune, where we had a beautiful view over the entire area. Amazing! When it was time to head back to the car, we ran off the steep side of the dune, straight towards Deadvlei. Running down a dune this size is really great fun. Actually, it is not really running. You are more jumping down than you are running. 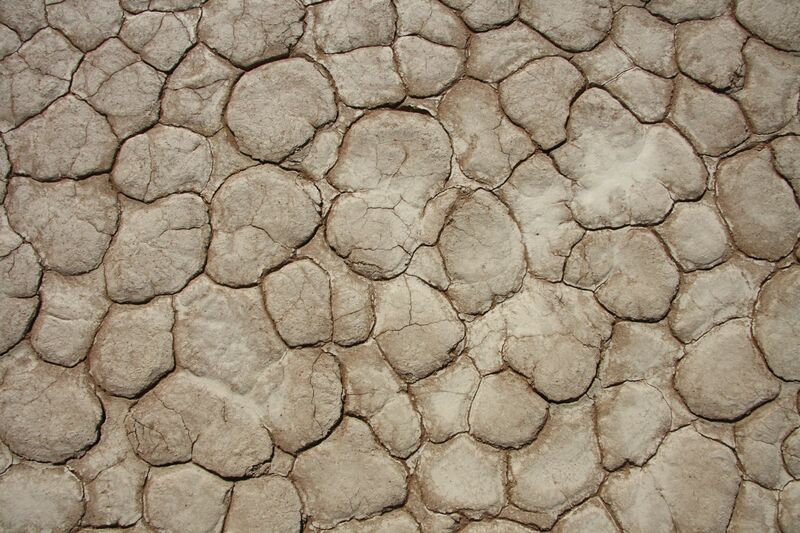 Either way, it was a shame we reached Deadvlei so quickly.